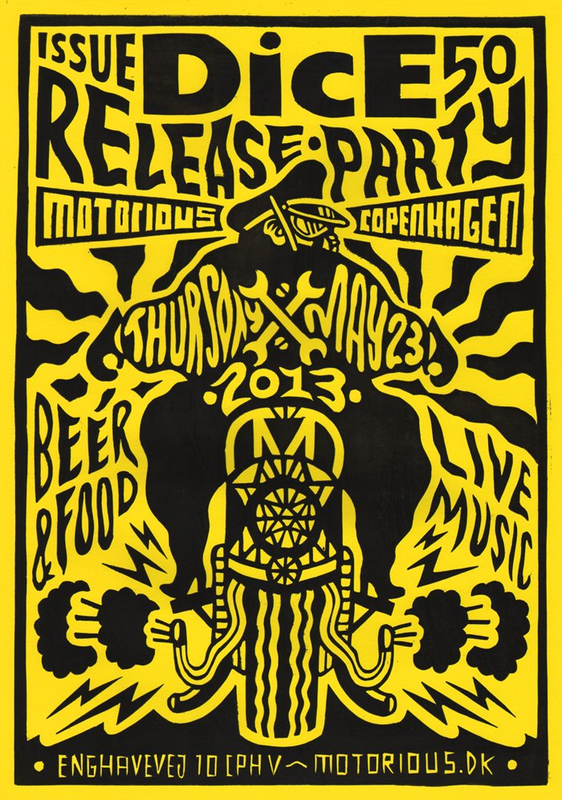 We will be celebrating the release of our milestone, brand new and improved issue 50, or volume 2 issue 1, of Dice at Motorious in Copenhagen on Thursday May 23., the day before the Castle Run. Why not bundle up both events and take part in what is guaranteed to be the best weekend of the year. 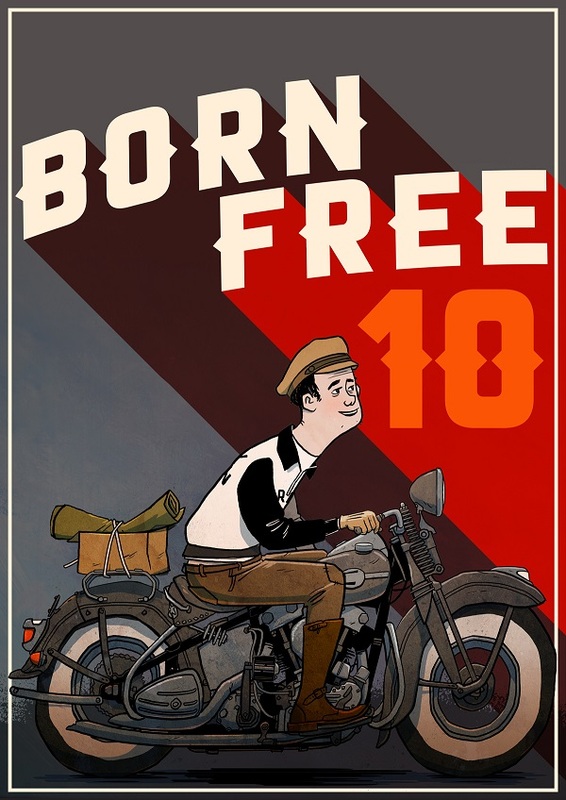 Make sure to take the whole week off, so you can enjoy the ride to beautiful Copenhagen where the girls are blond and the beer is cold and plenty. 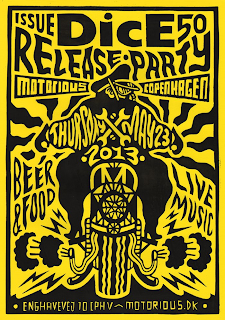 The Dice #50 release party will be a well balanced mixture of fancy motosickles lined up for miles, good people, cool music and beer from Krenkerup. All this packed up in the cool, historic surroundings of the Motorious back yard - where time disappears along with your brain cells and savings. We have teamed up with local bars in the area (i.e. the legendary Tiki bar Brass Monkey across the street) to offer extra party guarantee for those rum-hungering hoards of chopper tourists that will take over town this weekend. There will be food and sunshine and giveaways to best bikes, those coming from the furthest away and to those who absolutely don't expect to win anything. 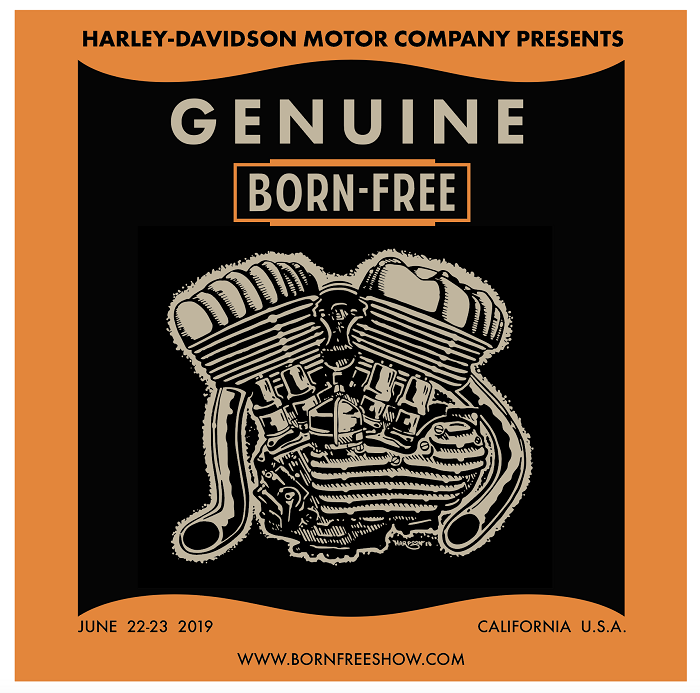 The shop will also be open and Lau & Kasper will be happy to rip you off for the old crusty motorcycle part you absolutely must have. Let us know in advance if you need to park the bike for the night, and we will find a safe spot for you. 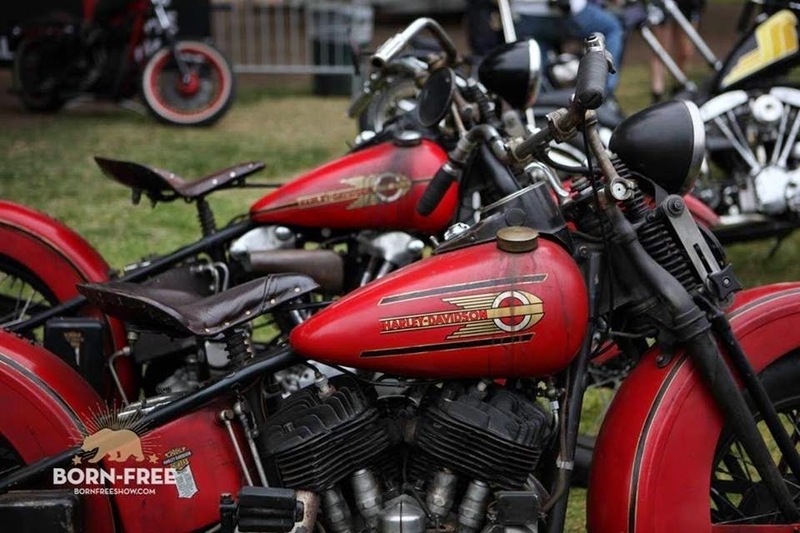 On Friday we all ride off together from Motorious at 12:00 to The Castle Run. Make sure to come early as you then will have more time to get down. 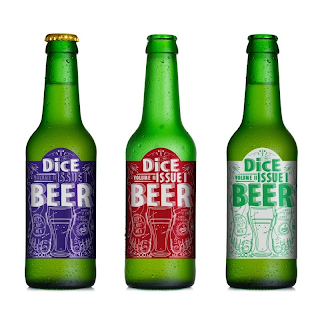 We have brewed 450 bottles of our own special issue 50 beers too. Pretty simple.